On the day of the festival of Soker, acoffer was lifted off at the moment of sunrise by the High Priest of Memphis, and carried in a procession circling the temple of the deity. This represented the common rotational or revolving movements of all celestial bodies, whether of the sun or planets. The Sokar boat was representing not only the Sun but i twas said to be steered by the dead - a reference both to the spiritual power of those who have passed on to other planes and to the idea of cycles, in that the past or dead produces the present, which in its turn is both the parent and self of the future. Sokar is one of the aspects of Ptah, also the name of Osiris in Memphis, especially in his character of Lord of the Underworld. So it is necessary to understand that the Soker-boat (Hennu), is representing the second half of the daily journey (night)of the sun through the Underworld. 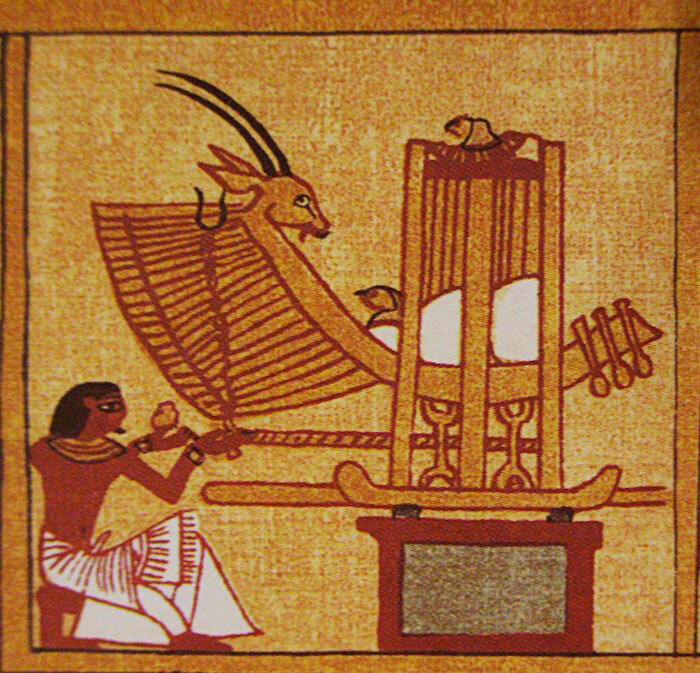 The hawk headed Sokar was fixed in a boat shaped sledge with runners. One end of the sledge was much higher than the other and was made in the shape of the head of an oryx. The symbolism of the oryx describes the liberation and transformation of the soul. The additional details illustrate the processes that led the soul from darkness to light, and from ignorance to wisdom. This sledge was named "Hennu" and was performed under the direction of the High Priest of Memphis who had the title of Ur Kherp Hem « The great chief of the Hammer ». because linked to Ptah the primal creator, the first of all the gods, creator of all matter. For that reason Sokar was often named Ptah-Sokar and it shows that Sokar is a very old name for the god of the Dead. In this pic you can see Sokkar twice, once on the top of the shrine and once Inside covered by the white sheet of créative power. According to the Keepers of the oral tradition who taught me, a white sheet made of cells of a Bright creative power is covering all what is created at the origin and everytime it is recreated.